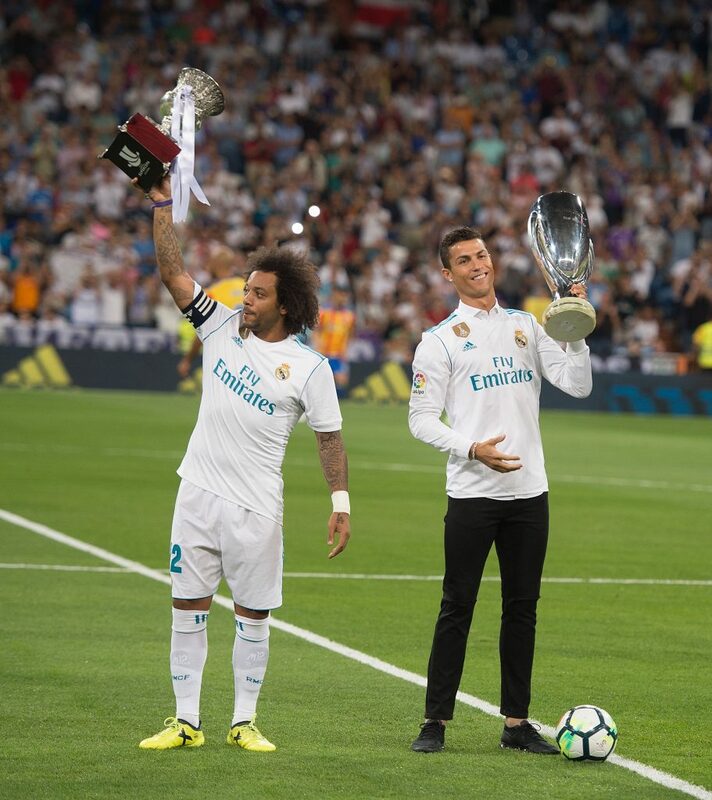 "I realise I have lied to you about this before, but that is because I had to"
Marcelo and Cristiano Ronaldo enjoyed nine happy years playing down the left wing together for Real Madrid. They had a telepathic relationship akin to that of Dani Alves and Lionel Messi. When Ronaldo would drift inside, Marcelo would overlap and knew exactly where to put the ball for his teammate to finish. This fruitful relationship on the pitch developed into a strong friendship off the pitch. As two of the team's vice-captains, both players became leaders within the dressing room as well as key components of Madrid's team on the field. So, you can imagine how heartbroken Marcelo was to hear that his friend and colleague was going to depart for a fresh challenge at Juventus. The Brazilian has now revealed that he didn't find out the shocking news until just before last season's Champions League final, which Madrid won 3-1 against Liverpool in Kiev. “Damn, we were training for the final and he told me: 'I'm leaving'," the left-back told Marca. "'I realise that I have lied to you about this before, but that is because I had to," Ronaldo explained, having made up his mind a while before this conversation took place. Ronaldo didn't waste any time after the Champions League final in hinting that he would be leaving Spain. He had made similar comments in the past, which always resulted in him getting a nice booster contract. But this time he was not bluffing, he was actually off. And it came as a shock to everyone, especially Marcelo. "I had a very good relationship with Cristiano, his family and his girlfriend," he said. "I played 9 years with him and it's normal to be sad. "[I was also sad] with [the departure of] Kiko Casilla, who was sitting next to me [in the dressing room]. "Every day I was saying, 'How are you Kiko, how are you doing?' and now I have no one next to me." The Brazilian full-back also spoke about Gareth Bale and how little he interacts with the Welsh forward. Zidane: Why shouldn't Paul Pogba come to Real Madrid?